In the market of consumer electronics, it is usually a competition of brands instead of pure products, such as Apply, Sony, Nokia and so on. However, as to Skype phone, although it has been popularized by the name of Skype, it doesn’t have its own manufacturer of large brands. Is it the empty of market or just the beginning of potential competition? 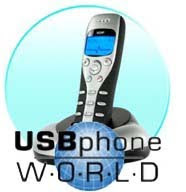 USB Phone World is one the largest sellers of Skype phone since several years ago. In early times, even the Skype hasn’t been so popular as it is at this moment. And we just can’t believe that it has widely spread in such as short period, which is almost out of our expectation. At home or in the office, we are used to communicate on Skype every day. Nevertheless, the speed of Skype phone development hasn’t caught that of Skype, which has hit USB Phone World a lot. After that, they realized that what users need is not the productions only but the serious and additional functions as well. Then they have founded and provided a tool by free, that is, skypemate. As a matter of fact, the tool is only a ladder for users to enjoy the convenience and advantages of Skype phone. After download the skypemate from USB Phone World, users come to be curious of the actual usage and effects of the phone. Especially in a business conference, it can not only help us to have a clear voice but also control the speed of conversation with the fruitful functions of the phone. Meanwhile, many other manufacturers become to realize the business opportunity inside. In my opinion, Skype phone is still in the process of technology development, the mild mode of competition must be ended by those large brands which are still unknown.